Also, see that headband? See those characters? 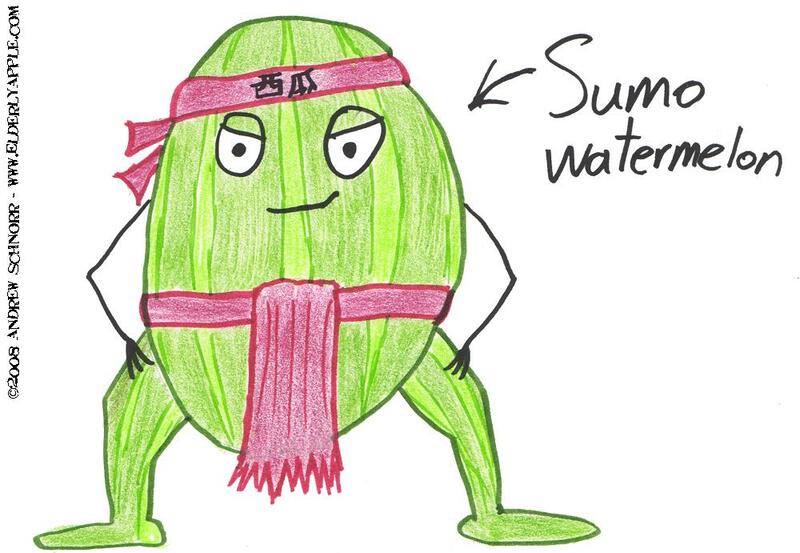 That actually means "watermelon" in Kanji. I do research for you people! Nice Touch. Is Gallagher still out there doing his act? Haven't seen him or heard of him for years. Me gustalo...or is it la?